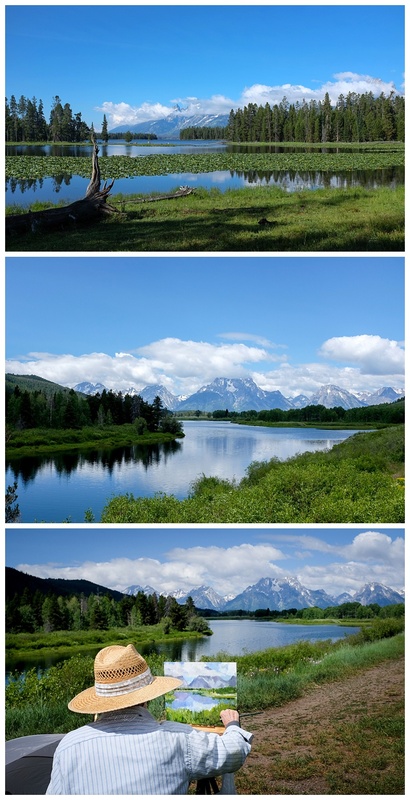 Mexico to New YorkYellowstone NP and Teton NP Near Wild Heaven! 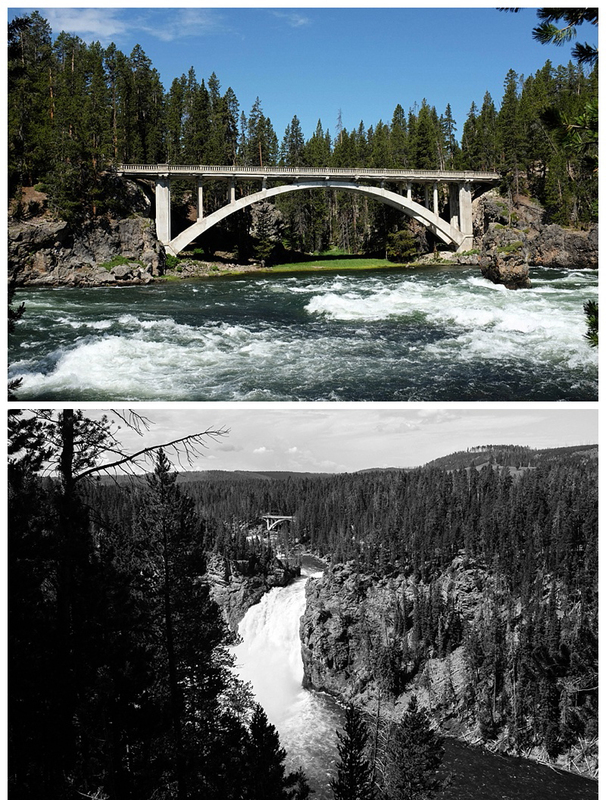 Yellowstone NP was the first and is the largest National Park in the States. 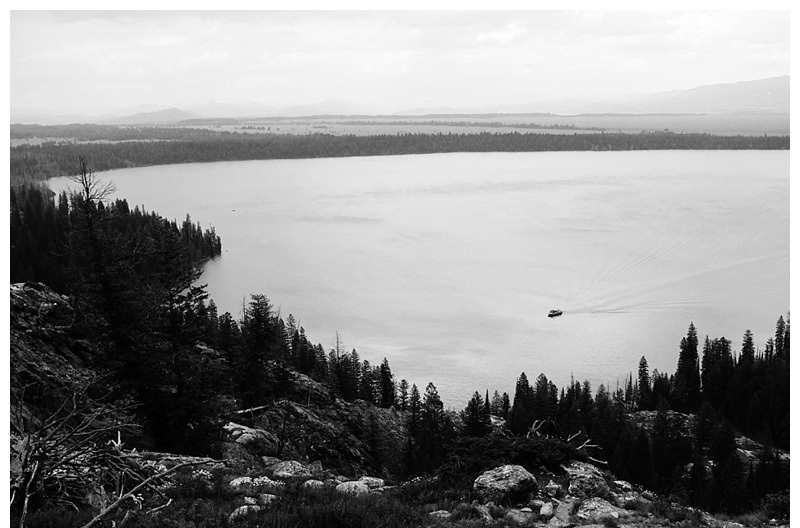 The park sits on the collapsed caldera of a massive super volcano approximately 60km across. There are several distinct areas in the park, and we spent a fantastic few days exploring them all. 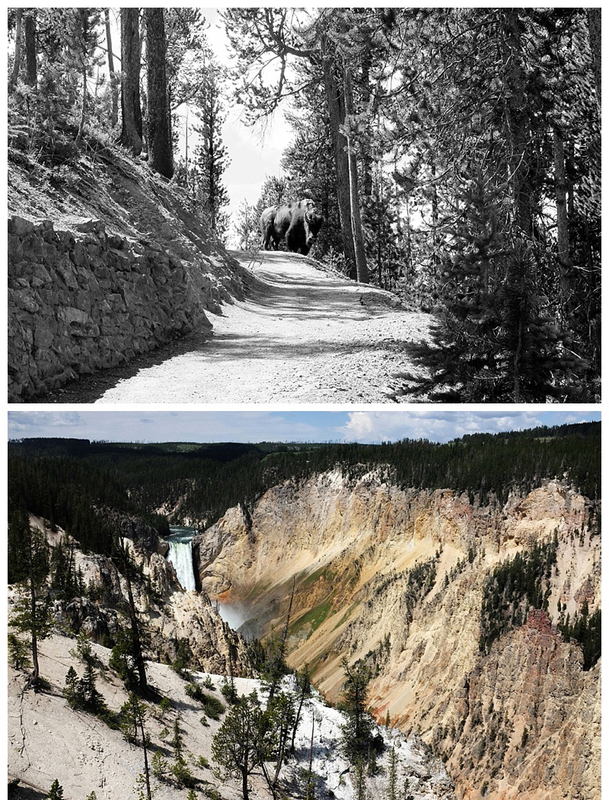 Yellowstone, thanks to its violent past, sits on some of the most active geothermal land in the world. So there are lots of weird and wonderful (and generally quite smelly) things going on. The place is peppered with erupting geysers of various size and frequency. The largest is Old Faithful, which regular as clockwork (every 90 mins) shoots over 30,000 litres of boiling water over 50m into the air. Thousands of people gather to watch each remarkable event. 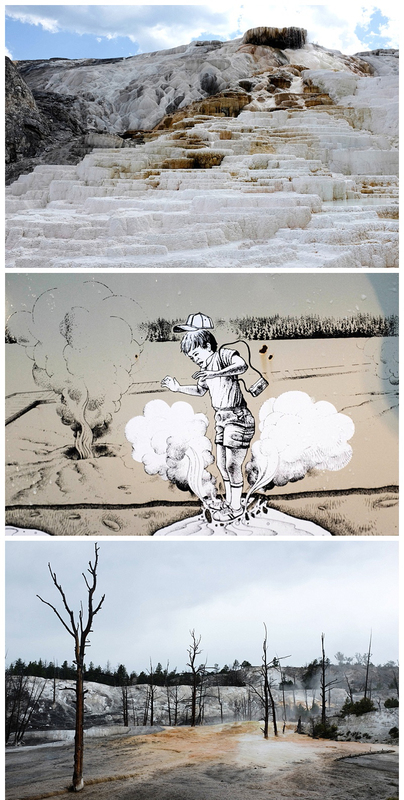 But there are hundreds of other geysers across the park – steaming, bubbling or erupting. Also steaming hot streams, (even a boiling waterfall), dirty burbling sulphur ponds, and dark caves moaning with the sound of steam escaping from the depths. The most photogenic phenomena are undoubtedly the hot water pools. 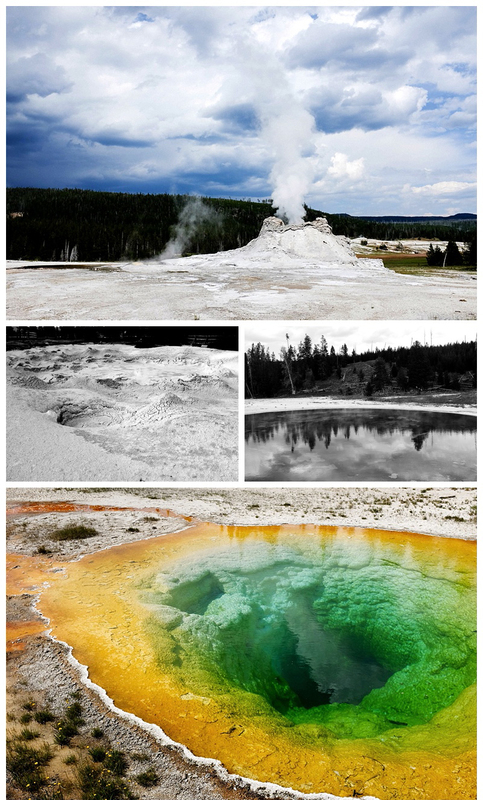 These large and small pools are fed by super-heated water from below ground. When they are too hot for living organisms, they are the clearest, deepest water you can ever hope to see. Truly vibrant blues and greens merge seamlessly, like in a rainbow, and the effervescence almost makes the pools seem like they have their own bright blue light within. The unique textures of the sulphuric rock beneath the water are amazingly clear. 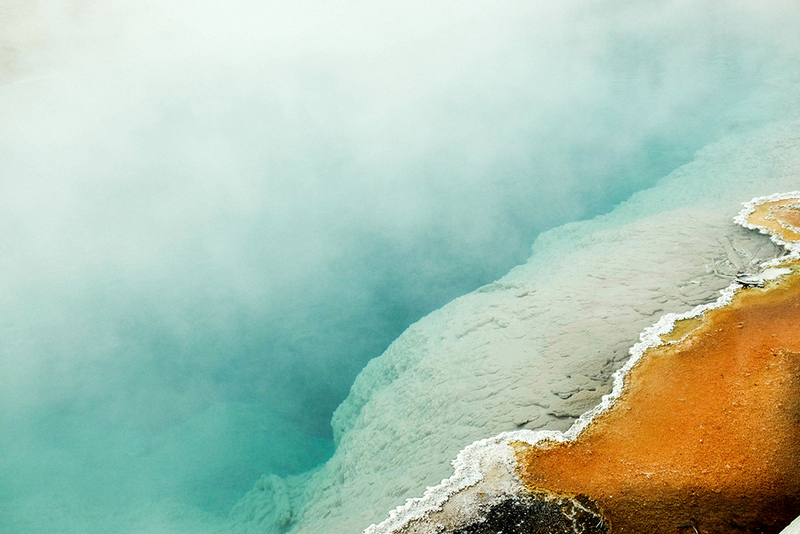 In the marginally cooler water around the edge of the lake some bacteria – Thermophiles dontchaknow – can survive, and frame the water with a ring of various yellow-to-brown colours. When seen from above it’s hard to grasp the scale of each pool. 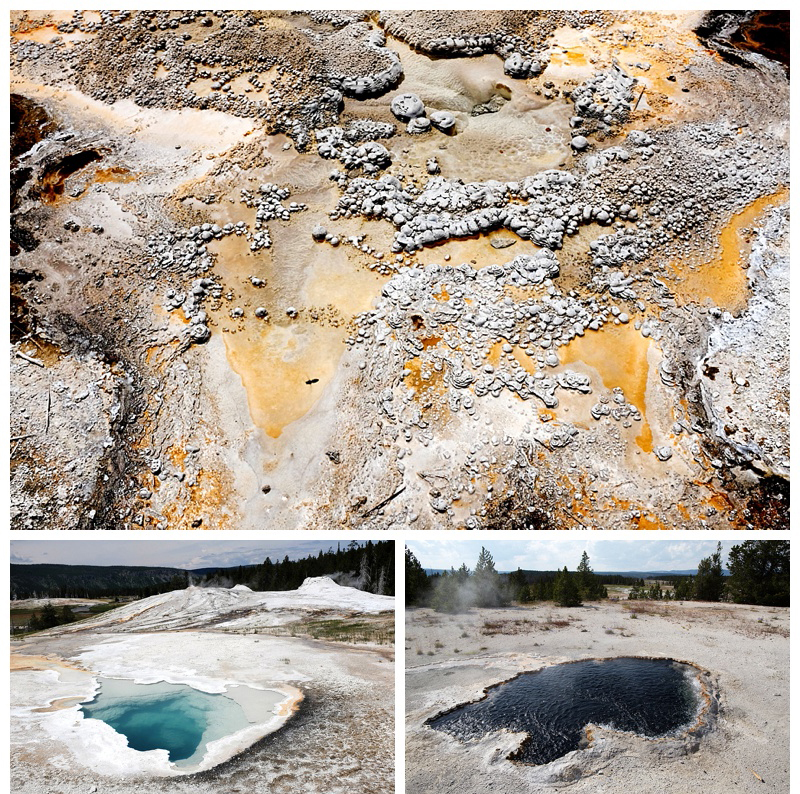 Another feature are sulphur tablelands – terraces of rocks covered with scalding hot water, with different colours and textures depending on the Thermophiles present. It’s a very delicate and constantly changing eco-system. Shifting water can swallow and kill all living plants, and leave petrified trees dotting a steaming landscape, reminiscent of no-mans land in the aftermath of a World War One battle. The smelly stuff is only part of the story however. 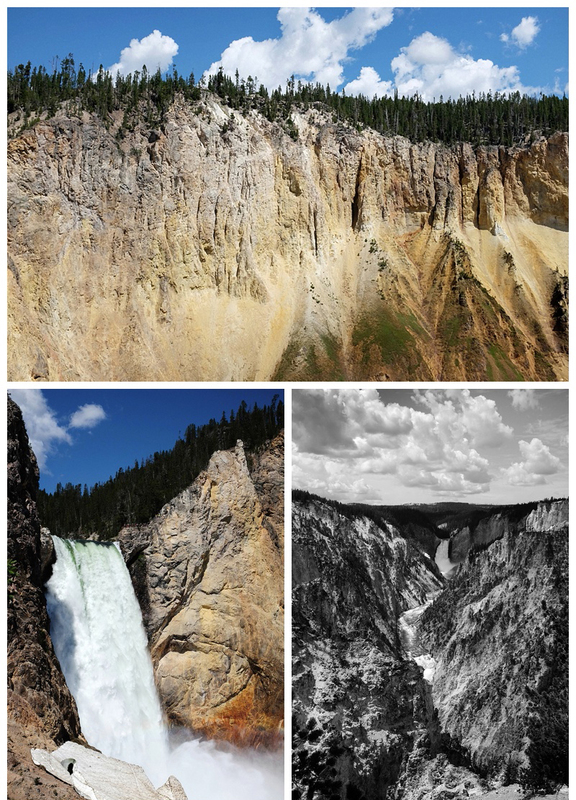 Yellowstone is full of wildlife in its hugely variable landscapes. 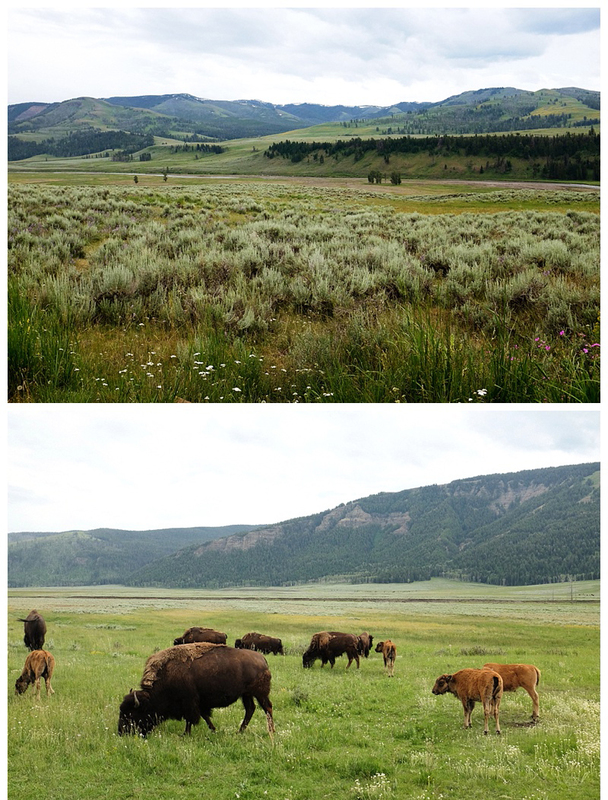 It contains vast plains dubbed the American Serengeti, home of herds of bison, deer, elk, grizzly and black bears. We came across all these animals at various points and distances. We could only see the rare grizzly through a spotter scope across a valley, but the black bear wandering along the side of the road was much more convenient. Indeed, whenever there is sight of any exciting fauna, people just stop their cars to watch, sometimes without moving out of the road. So you get what are called ‘Bear Jams’. Once we genuinely thought there had been an accident up ahead, only to find everyone had stopped for a cute black bear and his mum…. Bison are plentiful if not quite 100% genuine (the white man managed to wipe of the tens of thousands of bison indigenous to Yellowstone and they have been replaced by herds trucked in from elsewhere!). So plentiful you have to stop the car as they wander across the road. Of course these are all wild animals and should not be approached. It is made clear again and again by the park rangers that people get gored, stomped, or attacked every year… Nobody told this to the bison whom we almost literally bumped into on a steep trail next to a cliff with nowhere to escape to. We had to back away fairly rapidly until he passed… Luckily we didn’t encounter any bears quite so close, and we didn’t regret not buying the recommended bear pepper spray.